1Which ages does Sri Emas International School cater for? Sri Emas caters for students aged 12 to 17, or Year 7 to 11 based on academic year. 2What type of assessment is required for admission and why? A clear show of previous academic results in addition to being physically and mentally healthy. A simple assessment may be required on a case-to-case basis for us to gauge a student’s proficiency to know how to best support him or her, and whether the environment and demands of the school are a fit for said student. Note that this is different from assessment or entrance assessment that are used to determine students’ academic inclinations and therefore which class they go into. We don’t have that practice here at Sri Emas. 3What are the school hours? Schooling hours are 8.30am – 4.30pm on Monday to Friday. The school’s holidays are in March, June, August and November/December in addition to festive holidays like Chinese New Year, Hari Raya, and Deepavali. 5Can students enroll anytime of the year? 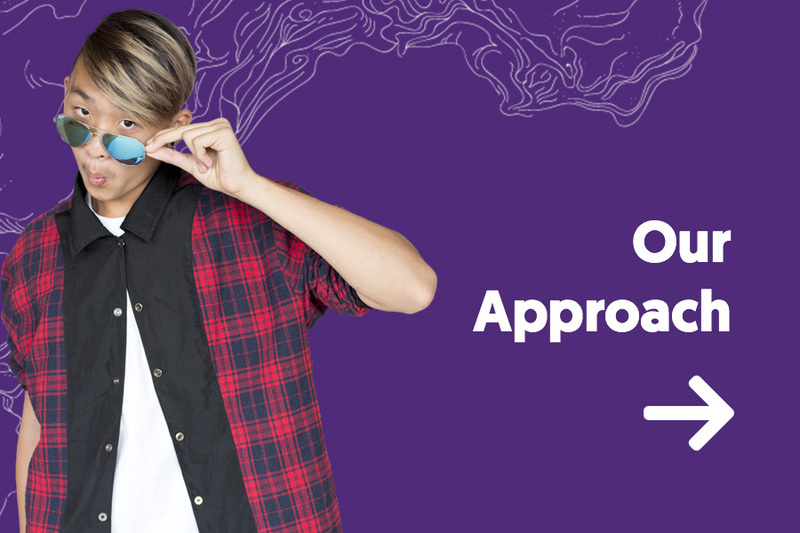 Students can join us at any point during the academic year subject to the principal’s assessment and approval. 6Does the school provide transportation services? As of 2019, Sri Emas will start offering transport for selected routes in addition to our list of private transporters. You may talk to our admin staff for the full list of transporters. Special transport is also occasionally provided for students who are participating in sports or going for excursions arranged by the school. As and when these are arranged, parents will be notified for their consent. 7Are there bus services for students enrolled in after school activities? There are currently no bus services available for students enrolled in after-school activities and transportation. Special arrangements are made occasionally depending on the sporting event or excursion arranged by the school. Rest assured that parents will be notified when arrangements are made. 8Is there a dress code? School uniform days are Mondays, Wednesdays and Fridays. Tuesdays and Thursdays are free and easy however students are still required to dress appropriately, i.e. no tank tops, shorts, slippers etc. Students are required to wear sports attire for Sports, Physical Ed, and Hip-Hop. 9How many students are there in each class? There is a maximum of 25 students per class. 10What is the best way for a parent to communicate with a teacher or the school? Parents will be updated on their child’s progress formally twice a year via the mid-year and year-end report cards. Additionally, Parent-Teacher Day is always an opportunity to get feedback from teachers also. Lastly, parents can also make arrangements with subject-specific teachers to call or meet during office hours. 11What foreign languages are offered at the school? Mandarin and Bahasa Malaysia are the two languages currently offered at the school. There are no boarding facilities available at present. 13What is the IGCSE and will it be accepted in universities other than those in Australia? The Cambridge IGCSE (International General Certificate of Secondary Education) for 14 to 16 year-olds is equivalent to the GCSE in the United Kingdom and one of the most recognised Pre-U accreditations in the world. Please visit the official Cambridge IGCSE website for specific information on recognition and affiliations. 14What are the facilities offered in the school? The school’s facilities include science and computer labs, a basketball court which is also used for netball, a futsal court also used for dodgeball, volleyball court, badminton courts, a multi-purpose hall, cafeteria, library, and Wi-Fi throughout the school buildings. 15What are the co-curricular activities offered in the school? Additionally, there are activities that take place outside of school yearly such as Seeds S.E.A.L. Camp and Leadership Camp depending on the students’ year level. 16What type of food is available at the school cafeteria? We serve a variety of food ranging from local cuisine, western food, and vegetarian meals. All food served is halal. 17What is covered in the school fees? School fees cover academic fees, facilities, learning materials, and a refundable security deposit (for both Malaysian and Non-Malaysian students). Additionally, no registration fees are required for Malaysian parents. Non-Malaysian students are required to pay an application fee as well as a registration fee on top of school fees upon enrolment. Seeds S.E.A.L. Camp is a separate payment that must be settled prior to the camp. 18Are there any discounts or scholarships available for students? Scholarships are available for Malaysian students who represent the school at state or national level for any sports competition. Do make an enquiry with our consultants to get more details on all scholarships. 19What is the minimum level of academic qualifications Sri Emas International School teachers have? All our teachers possess a bachelor’s degree at minimum and among them, master’s degrees as well as PhD’s. 20What level of English is required for entry into Sri Emas International School? Students should be able to speak and write English at the appropriate level corresponding to their academic age. Foreign students will be given additional English classes to help their proficiency with the language. 21Who determines my child's grade level and how is it assessed? The school’s Internal Examinations Department determines a student’s overall grades each year from Year 7 to 11 through coursework, tests 1 and 2, and the year-end examination. The IGCSE examination, while it may be facilitated by us, is assessed entirely by Cambridge in the UK. 22What if my child's command of the English language is weak? While our teachers will determine what needs to be done to help improve a student’s proficiency and recommend accordingly, it is not advisable to enrol a child with exceptionally weak English as there are no ESL (English as a Second Language) versions of the science exams such as Biology, Chemistry and Physics for them to take. You may refer to Question 2 in this section on What type of assessment is required for admission and why? 23What kind of curriculum do you use at the school? 24Does the school provide Learning Support? We have tutorial hours that are built into the timetable. Students and teachers are able to use this time to clarify, practice, and complete studies learned by subject. 25What happens if I decide to defer enrolment until the following year? You must inform the Student Administration Department in writing or the enrolment will become void after two weeks of the assigned commencement date in favour of other enrolments.